There they go, taxiing out past the airport's rotating beacon for an exhilarating and fun-filled hour into the very air of yesteryear. 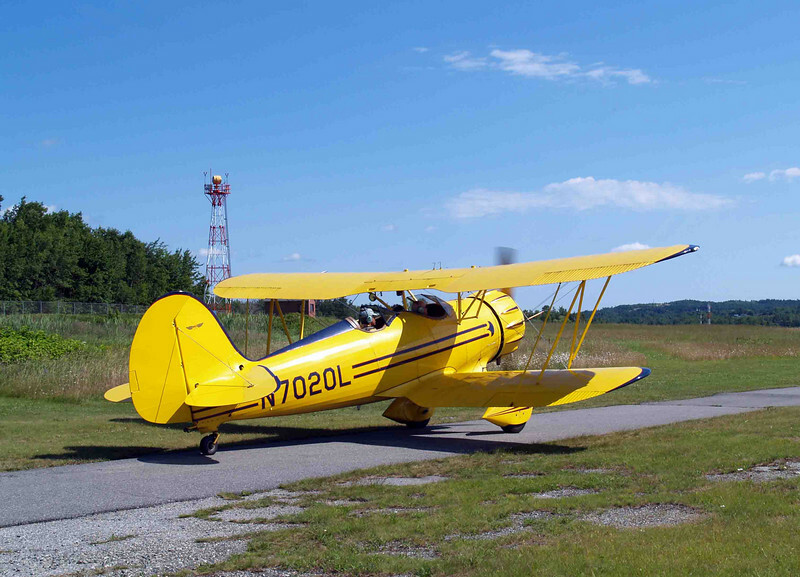 It's amazing, but when you're up there flying in one of these old birds with struts and wires all around you and a big wing right up over your head, it's almost impossible to keep yourself seated in present day. That's one of their great appeals, I think. They're magic.